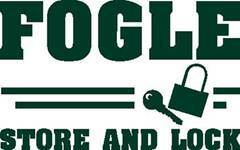 Why rent with Fogle Store and Lock? We know that everyone’s schedule is different, and we believe that you should be able to access your unit any time that is convenient for you. That’s why we make access to your property as easy as possible by allowing you to enter the facility through our computerized access gate any time, 24 hours a day, 7 days a week. Office closed on all recognized holidays. We are located at 1000 State Park Road where you’ll find our facility situated in a quiet, neighborhood environment within close proximity to several housing divisions. You’ll have E-Z in/E-Z out access, and, best of all, you’ll be able to avoid the never-ending traffic on Hwy. 183. Fogle Self Storage is an independently family-owned and managed facility. During the past forty years of family ownership and operation, we have grown from a 30-unit facility to a modern 377-unit facility. While the face of our facility has changed through the years, our goal of providing competitive rates and exceptional service for the storage needs of Lockhart and Caldwell County has not changed. We value our independence as that allows us to treat our customers as individuals and to offer them features and services that fit their needs. Texas Self Storage Association is the largest state self-storage organization in the country. In addition to first-rate self-storage educational seminars throughout the year, TSSA provides its membership with standardized Rental Agreement Lease Forms, nine other official forms, and a nationally acclaimed legal reference manual with details on state and federal statutes that relate to self-storage in Texas. As members of the Crime Watch program, we continually strive to protect you and your stored possessions. Various techniques are used to make it clear to criminals that they are not welcome in the world of self-storage. Personal check, cashier’s check, or money order. E-Z Pay……a FREE automatic payment program that runs your monthly rental fee to your preauthorized credit card on the same day each month and eliminates the chore of having to take time to make your payment. Just complete a simple authorization form to start E-Z Pay, and the service may be stopped at any time. It couldn’t be more convenient, and the best part is that the service is entirely FREE! Contact us for details. Fogle Store and Lock Self Storage Center. 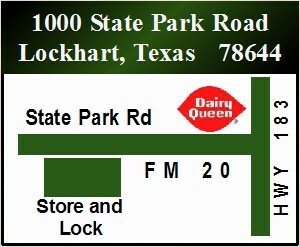 Lockhart, TX 78644. Web site contents © Copyright Fogle Store and Lock, 2018, All rights reserved.